Feel Relaxed. Feel Inspired. Feel Motivated. Creating bespoke retreats and events for people inspired to lead healthier and happier lives. Our retreats are holistic in approach, every event and retreat covers our four pillars of wellness – physical, mental, emotional and spiritual. Our retreats are completely about YOU. Giving you the opportunity to slow down, relax and recalibrate. Be inspired by some of New Zealand’s leading health and wellness practitioners. Gather some practical tips to take away and incorporate into your daily routine. And get a little bit closer to achieving a sense of balance and wellness in your life. We are excited to announce our brand new 8 day / 7-night package. This Yoga, Fitness and Adventure Retreat has been mindfully designed for those wanting to change habits and increase knowledge and understanding on nutrition, functional movement and find their way through the traditional practice of yoga. Allow us to pamper YOU! As time stands still, you will be nurtured, nourished and pampered, while enjoying daily strength and power training, nutritional workshops and seminars and embark on a transformational yoga experience. Niue is a Pacific Island paradise like no other, one of the smallest countries in the world and one of the largest raised coral atolls on earth. Niue is a place where it’s normal for complete strangers to wave at each other. It’s a place where nature hasn’t been broken and things are ‘the way they used to be’. Learn more about Niue here. The first 9 bookings will receive a complimentary room upgrade to the Deluxe Cliff Top rooms valued at $600. If you have any questions please contact our agent or phone Sammie on 04 891 1027. 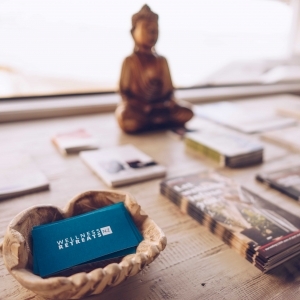 Subscribe to our newsletter to receive the latest updates and info on our next retreats. Are you exhausted despite eating well and exercising regularly? Do you find it difficult to get out of bed or seem to lose your temper at the drop of a hat? Do you ever get that feeling you’re just not right? Our fast-paced daily life, stress or a series of stressful events, poor nutrition and exposure to toxins are some of the many things that contribute to burnout. Drawing from our four pillars of wellness – physical, mental, emotional, spiritual – we can help you take control over fatigue, stress, depression and anxiety with breathing, yoga and workshops from leading medical and integrative wellness practitioners. Our goal is to provide knowledge, understanding and a toolkit of practical strategies you can take away with you, to find vitality in your every day. You will leave this day feeling nourished, restored and inspired! Tickets are priced at $325pp and spaces are limited to 30. This includes all the workshops and seminars, a delicious wholefood lunch, snacks and a deluxe goodie bag filled with luscious products from our wonderful sponsors. We are now taking bookings, contact us to reserve your space. The timing of this retreat aligns perfectly with getting your wellness on track for an energy-filled summer! Get motivated to move your body, set your goals and find your inner spark with our inspirational speakers, yoga and movement workshops. This day offers short and sharp workshops revolved around re-empowering your journey with playful movement and healthy nutrition. It is the perfect opportunity to set new goals and find confidence through self-connection, self-worth and self-belief while you learn new, empowering wellness tools for your ‘wellness toolbox’. You will leave this day feeling relaxed, inspired and motivated! We are taking enquires now for 2019 retreats, contact us to find out more or be added to our waitlist. Motivate + Move Retreat dates and speaking line up will be announced soon! Niue was the perfect place to relax and unwind. Wellness Retreats NZ hosts wonderful retreats, everything was so well thought out. The little touches really make you feel cared for. Such a wonderful experience, I would highly recommend this retreat to anyone needing a little time out and self love. I thoroughly recommend this retreat! It was a real treat and exactly what I needed to de-stress and revive myself. My favorite pastimes are yoga, fitness and learning about wellness so I was in my element. Mel is an expert at reading peoples needs and Kaytee and Paddy, a perfect combination to enhance the experience. Wellness Retreats NZ thank you so much for an incredible few days in Niue and for giving me the chance to reconnect by disconnecting from my hectic life. Everything was amazing - the setting, the food, yoga, workshops, adventures, snorkelling, the travel arrangements, the Scenic Matavai staff and most importantly the people. What an awesome bunch of humans to be stuck on an island with. Thank you. Such an epic five days, best island holiday ever! I’ll never just go to a resort again. There was the perfect amount and variety of activities. I snorkeled with dolphins - amazing!! The food was incredible and we were so well looked after and totally spoilt. Kaytee’s workshops were fascinating, Paddy has to be the best PT around and Mel ran the most blissful yoga classes. What a dream team. I can’t thank Mel, Kaytee, and Paddy enough, I’m floating home so light, so restored. Wellness Retreats NZ is a premium retreat and wellness event company. We craft unique experiences of wellness, aligning with some of New Zealand’s most inspirational and talented wellbeing professionals, like-minded brands and fabulous venues. We specialise in creating bespoke retreats and events for people inspired to lead healthier and happier lives. Our retreats are designed to empower and educate, nurture and nourish giving guests the knowledge and encouragement they may need for wherever they may be on their wellness journey. Our retreats and events are uniquely designed, highly specialised and executed with exceptional detail. Set in luxurious surroundings, our retreats comprise of energising yoga, educational seminars, practical workshops, guided meditation and one-on-one consultations to help you nourish mind, body, and soul. We have sought out leading brands who provide eco-friendly, sustainable products and services to support and contribute to each retreat. Our retreats are designed to be achievable for busy New Zealanders who want to live wholesomely inside and out. We offer gift vouchers at your choice of value, redeemable for any of our retreats. Our retreats are a wonderful gift for those looking to re-kindle their wellness journey, those at the beginning of their wellness journey or the humble wellness warriors who are dedicated to their health and wellness. The perfect ‘me time’ gift for a loved one. Email mel@wellnessretreatsnz.co.nz to find out more. A thriving business relies on the health and vitality of the individuals that keep it running. Keep your employees healthy, happy and motivated and they, in turn, will help keep you customers and clients loyal. With modern day lifestyles, people do not often get the chance to unwind, de-stress or re-energise. Our goal is to provide a foundational skill-set to help support work/life balance. All of our programs are uniquely designed to empower people on an individual level, as well as increase the productivity of the business as a whole. Wellness mornings – educational talks, guest speakers, Q&A sessions. Email mel@wellnessretreatsnz.co.nz for more details about how we can craft a unique wellness plan for your team today! Mel and her team did an amazing job creating a “Wellness sanctuary" at our recent Deloitte Festival of Fast Growth, held at Villa Maria. Along with inspirational speakers and topical panel discussions, our guests were treated to informative sessions with Mel around the importance of wellness, movement and nutrition in the work-place. Several of the 250 attendees listed Mel’s session as the highlight of the entire day. Perhaps swayed by the blissful head and shoulder massages provided by Mel’s team! The day went completely as planned, due mainly to Mel’s thoughtful and professional approach. We can’t wait to have her back. Kaytee Boyd has been involved in the Health and Wellness industry for over 20 years. Using diagnostic testing and genetics, as well as nutrition and herbal support Kaytee offers an all-round wellness resolution for her patients. 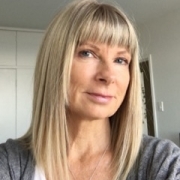 Kaytee specialises in complementary cancer therapy, adrenal fatigue and chronic fatigue syndrome, weight loss, hormone imbalance, gut health and food allergies. A professional athlete herself, Kaytee has competed for New Zealand in BMX, and mountain bike racing. She has also been a professional road cyclist and a World Cup gold medalist in track cycling, PLUS Kaytee was a New Zealand representative at the Commonwealth Games!! Mel is all things Wellness! A certified yoga teacher Mel teaches weekly at Auckland based studios Urban Ashram, Positive Balance and Biba Boutique. She is also a regular guest teacher at lululemon in Ponsonby and Takapuna as well as offering corporate and private classes for those looking to bring wellness into their every day. Mel completed her 200YTT in 2013 in Spain with Frog Lotus and in 2014 she returned to New Zealand and launched Wellness Retreats NZ. Since then she has completed teacher training courses to support and aid her teaching journey. Wellness Retreats NZ has been created on the backbone of Mel’s personal wellness journey. Her journey to wellness follows a life-changing experience with chronic fatigue and adrenal fatigue syndrome. Her personal experience has fuelled her desire to share her story, educate, inspire and guide others on their journey to wellness. 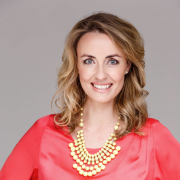 Sarah is a best-selling author, speaker, and has been a columnist for magazines throughout Australasia for over 10 years. Sarah’s success in her field started in 2007 when she wrote her first 12-month lifestyle programme, Change your Life. It was syndicated across several international magazines and then published by Random House into the first of her best-selling books. Her next book From Tired to Inspired followed, and most recently Stress Less was published after time spent with neuroscientists at UCLA, Berkeley. Her most recent work has been a collective of research, insight and expertise from authorities around the world. She has aggregated the work of neuroscientists, cell biologists, psychologists and industry leaders to sharpen the lens of the extraordinary potential of people. Paddy Flavell is one of New Zealand’s leading personal trainers. 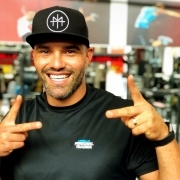 He’s been with Les Mills Auckland for 16 years, which has seen him win personal trainer of the year five times. Paddy’s background as a representative rugby player means he’s perfectly suited to help his clients achieve the upper limits of their personal goals. But beyond that Paddy also works extensively with groups of teenagers, children and major Kiwi companies to help them better understand the value of fit and healthy employees. Paddy’s passion for his clients and their own life stories is what makes him one of New Zealand’s most sort after trainers. He is happily married and is the proud father of two really cool kids. He’s a living, breathing example of having a great life balance PLUS Paddy comes with a bigger than life smile! 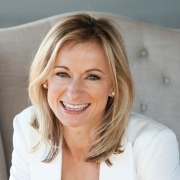 Having been in practice for 15 years, Lesley is one of New Zealand’s most experienced Executive Coaches. Most of her current clients are senior executives who are suffering from some form of burnout and stress. Which is something all too common in our modern, 24/7 lives and lifestyles. Lesley works under the radar, receiving great referral business from a wonderful network of established clients and connections. Her work is mostly involved in coaching around confidence, creativity, career and lifestyle shifts, and “next step” ideas and strategies. Often her clients are unsure of “what next” and she has the experience and ability to unpack the real issues and play to their strengths in order to clarify and get a hold of what it is they truly want. 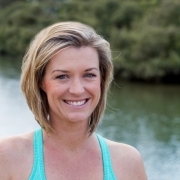 Tarryn is a health and lifestyle coach, presenter, wife, mum, yogi and self-care advocate. Previously from a corporate marketing background, Tarryn discovered first-hand how long-term stress can affect your health and happiness. After struggling to conceive, coupled with bouts of anxiety and unhealthy habits, Tarryn made a decision to take back the reins to her life. She now helps women find their power heels with unapologetic confidence. Tarryn presents on the importance of Internal Balance. She explains it as getting back to basics through the practice of nurturing your mind, body and soul. Tarryn believes your outer world reflects the state of your inner balance. If life is hard, exhausting and overwhelming, or relationships, success and health goals are not falling into place ……. It’s time to invest in yourself. Quickly! 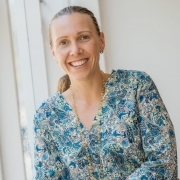 Qualified Naturopath and Medical Herbalist Erin O’Hara has spent over a decade gathering knowledge and qualifications in health and wellness through study, scientific research, personal illness, racing as a professional athlete, and an intrinsic passion for health naturally. Drawing from this experience and knowledge Erin focuses on prevention, education, yoga, nutrition, and natural medicines. She takes an integrative approach looking at physical, mental, and spiritual health to bring people to a place of inner harmony and happiness. Erin also guides people to grow spiritually with the teachings of Kundalini Yoga and Mediation. Her classes guide you on an inner journey to experience your true self and potential. Erin is the founder of Golden Yogi, an upmarket yoga, health and wellness studio located in Takapuna on Auckland’s North Shore. 10/10 - what an incredible 5 days. The attention to detail was fabulous and everything was so well thought out - a wonderful experience. Thoroughly appreciated all the work, effort and time that had gone on behind the scenes to prepare for this life-changing retreat. As guests, we were able to arrive, relax and enjoy ourselves with not having to think about a thing. Pure bliss! Thank you, thank you, thank you. The variety of all the pieces of the puzzle are all hugely valuable to have in one day. All elements arm you with a complete toolbox to be healthy – making it easier to make changes for life. Great to see so many passionate people who have used their own experiences to educate others. Very inspiring. A totally inspiring and decadent day - I thoroughly enjoyed every moment and have a toolbox full of fresh new ideas and utensils to ensure 2015 is a great year! 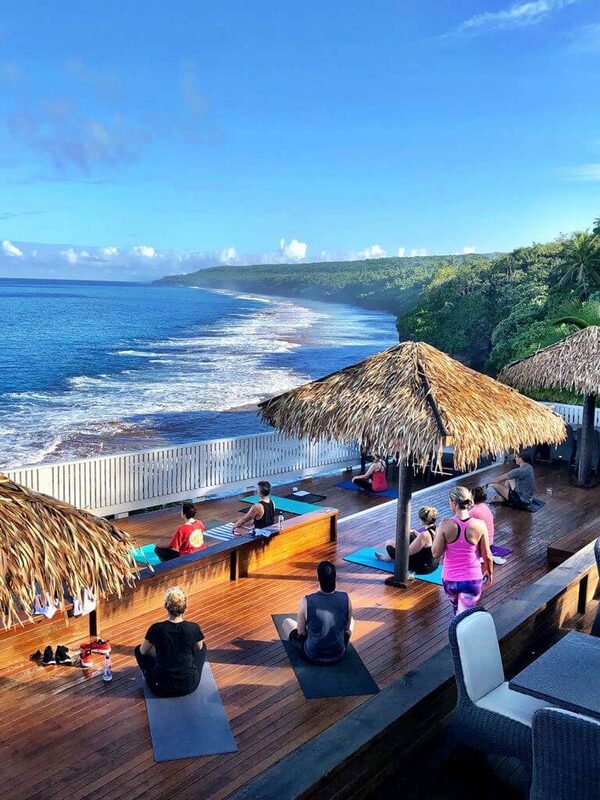 Niue Wellness Retreat was INCREDIBLE! Amazing location, yummy food, the perfect place to disconnect to reconnect. Incredible seminars with Kaytee, great yoga, loved the afternoon adventures, the snorkelling. Mel makes sure every need is catered for. She’s a wonderful host, organiser and beautiful soul! For me, a retreat is all about the people. We were so lucky to have an amazing team of Mel, Kaytee and Paddy enlightening us, training us and guiding us through the five days. Loved every minute and would recommend to anyone that wants to have a lot of fun and take care of their wellness. Being a busy mum to my 3 ½ and 2 year old I was yearning for some “ME” time. I was hesitant at first as we had been on a single income for years however I was stuck in an exhausting rut and needing a pick me so I bit the bullet and attend a wellness retreat. It was the best thing I have done for years. Money well spent, as I gained so so much out of the day from the speakers and practitioners, not to mention all the delicious foods and drinks on offer and an AMAZING goodie bag at the end of the day. If your nerves are getting the better of you don’t let them, Mel is so welcoming and everyone else there is just as excited, nervous and/or anxious as you. I thoroughly recommend it. Thanks Mel and all the other speakers/practitioners it was exactly what this busy mummy needed. We started the year on a lovely high with our Motivate & Move urban retreat at the stunning Sapphire Room, Ponsonby Central. Our lovely guests were motivated to move their body, set their goals for 2016 and find their inner spark with our inspirational speakers, yoga and movement workshops. This retreat was a short-format programme packed with fantastic speakers and practitioners who each had just 30-45mins to motivate and inspire. A perfect urban escape for busy ladies, without having to leave the city. Moving into May we hosted our new theme Nurture & Nourish retreat tailored boost immunity for the cooler month. Our guests nurtured their bodies and nourished their minds with our educational nutrition, wellbeing, movement, and meditation workshops. In June we enjoyed a fabulous day of learning and relaxation at the Tamaki Yacht Club for our Vitality Workshops Retreat, overlooking Auckland’s Waitamata Harbour. It was a perfect venue for a mid-winters day! Our guests spent the day doing yoga overlooking the ocean, learning key tools to help bring vitality back into their everyday lives from our inspirational speakers and indulging in delicious wholefood cuisine. In September we enjoyed an inspiring day of relaxation and learning at our Recharge & Reset, held at The Sapphire Room in Ponsonby Central. The venue was an urban oasis of calm, the perfect escape from the hustle and bustle of city living. 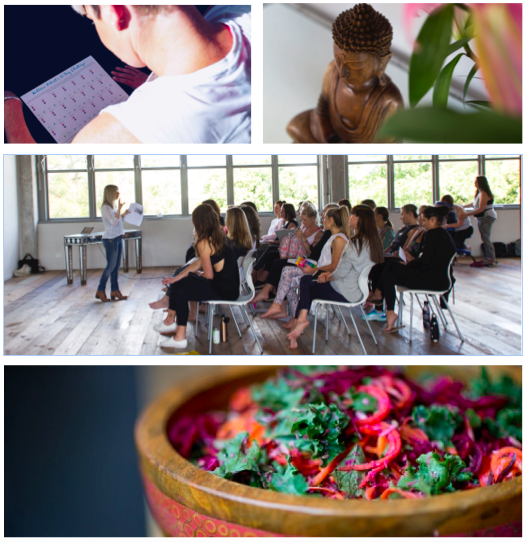 The day-long retreat was designed around optimising digestion, infusing self-care, revitalising the immune system and re-setting after the cooler months. We closed the year with Motivate & Move back at our urban oasis, The Sapphire Room. A retreat on reflection, home practices, re-empowerment and healthy nutrition. At the end of each retreat, guests are gifted a deluxe take-home goodie bag full of treats from our amazing sponsors. Yet another unforgettable retreat year… lookout for some new themes next year! We are excited to bring you a range of event formats, themes and locations in 2018 including day-long retreats, weekend getaways and International packages. This retreat is designed to motivate guests to move their body, set their goals for 2018 and find their inner spark with our inspirational speakers, yoga and movement workshops. This retreat is a short-format programme packed with fantastic speakers and practitioners who each have 45 – 60mins to motivate and inspire. A perfect urban escape for busy women, without having to leave the city. Enjoy daily sunrise and sunset yoga sessions, nutrition and wellbeing workshops with our nutritionist, healthy meals, a complimentary massage and time to explore an island that defines the phrase “chilling out”. Enjoy sunrise yoga session with our personal trainer, nutrition and wellbeing workshops with our nutritionist, sunset yoga classes, healthy meals, a complimentary massage and time to explore an island that defines the phrase “chilling out”. Further details for one day and weekend retreats will be announced soon. Situated on the spectacular coastal cliff tops of Karioitahi Beach, Castaways Resort is our newest venue and perfect for an overnight escape. It is located within 70 kilometres from the Auckland CBD, international airports and 115 kilometres from Hamilton. Features include oceanview accommodation and cliff-top dining, this award-winning event venue is the ultimate blend of nature and luxury. Quiet, picturesque and exclusive. Nestled on the water’s edge, Five Knots is a destination that will play host for Wellness Retreats NZ in the year to come. A true escape, you can take in the entire magic of the Auckland Harbour with 180-degree views, looking over the unforgettable Waitemata Harbour and Rangitoto Island, with the skyline of Auckland City as your backdrop. Located only 7km drive from Auckland City, close to Auckland’s Mission Bay, our new venue offers you a tranquil setting without the travel. Five Knots is easily accessible by car, taxi and public transport, and offers complimentary on-site car parking. Set amongst lush subtropical gardens in the heart of Palm Beach, Waiheke Island on Auckland’s sparkling Hauraki Gulf. Just 40 minutes by Ferry from downtown Auckland and 8 minutes drive to the Retreat. Te Toki Retreat provides tranquil surroundings large rain-forest palms, rare exotic plants and other natives for our retreat guests to enjoy. Introducing our vibrant North Shore venue, Biba Boutique in Birkenhead. A fabulous hair salon by day, the venue transforms into a light-filled, open space for entertaining and events. Biba Boutique is the perfect venue for our urban retreat days – a blissful escape without leaving the city! Located in the heart of Ponsonby, The Sapphire Room is the perfect getaway within the city for our urban retreats. A striking venue that boasts high ceilings and an air of industrial chic with a gorgeous lush outlook over backyard canopies of Ponsonby. We understand that life is all about juggling priorities, which is why our goal is to make our retreats affordable and achievable for busy NZ men and women. Put your health and wellbeing first. Gift yourself (or someone you love) a day to slow down, relax and recalibrate. And, your chance to see our highly sought after practitioners, all together on one day. Each retreat has different price points depending on the theme, speakers, venue and duration of the event, but ticket prices generally start from $299pp. Why not gift someone you love a Wellness Retreat? The perfect gift for busy people who deserve some ‘Me’ time. Perhaps they’re looking for the motivation to make some changes in their life, or maybe they could do with just a day to recalibrate. Vouchers start from $100 towards a retreat. Contact us below to request. Please complete the form below to enquire about our retreats, Corporate wellness programs, to purchase a gift voucher or to secure your place on one of our retreats. All emails will be answered within one working day. Or you can call Mel on +64 (0)22 680 2186 for more details. updates and info on our next retreats. General Terms and Conditions for Wellness Retreats NZ Guests 1. Booking and Registration fees Bookings will be accepted via the Wellness NZ Retreats website and via direct enquiry, but places will not be guaranteed until payment is received in full. All guests must pay the registration fee prior to arrival at the retreat venue. Participants are also advised to have a copy of their payment slip when going to the registration desk at the conference just in case they are requested to show proof of the payment on their arrival. 2. Cancellation Policy No refunds will be provided upon cancellation once payment has been received. 3. Liability Wellness Retreats NZ reserves the right to amend any part of the retreat programme if necessary at any time. Wellness Retreats NZ will not accept liability for damages of any nature sustained by delegates or accompanying persons, or loss of, or damage to their personal property as a result of the retreat or related events. 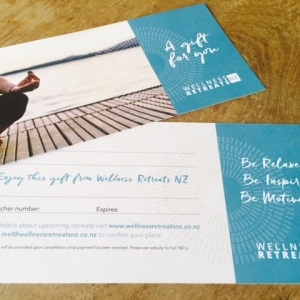 In the event of industrial disruption or other unforeseen circumstances, Wellness Retreats NZ accepts no responsibility for loss of monies incurred by guests. Guests should make their own arrangements with respect to personal insurance. 4. Personal Insurance Wellness Retreats NZ cannot be responsible for healthcare and ambulance services during its retreats or events. Therefore, Wellness Retreats NZ and its local co-organisers accept no responsibility of any nature whatsoever for personal injury, death, loss or damage to property or participants however caused or arising. 5. Privacy In registering for Wellness Retreats NZ retreats, relevant details will be incorporated into a participant list for the benefit of all guests and partners. Normally this information would be: name, surname, company and email address. These details may also be available to parties directly related to the retreat including the venue provider. Wellness Retreats NZ may use these details to inform current participants of retreat updates or future retreats via email. 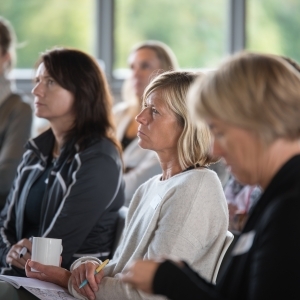 Participants are responsible for advising Wellness Retreats NZ if they do not wish to have their email address included in Wellness Retreats NZ distribution list for future events.